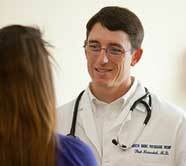 Choose our North Shore internal medicine group for top-rated primary care. Doctors in the internal medicine group of North Shore Physicians Group (NSPG) offer excellent primary care at convenient locations across the North Shore. Choosing an internal medicine group is an important part of managing your healthcare. An internal medicine group is made up of internal medicine doctors who provide preventative care and routine health screenings and examinations. Doctors in our North Shore internal medicine group can also refer you to other specialists within North Shore Physicians Group or to experts at North Shore Medical Center, Massachusetts General Hospital, and Brigham and Women’s Hospital. Benefits of receiving care from an internal medicine group at NSPG. When you choose an internal medicine doctor from NSPG’s internal medicine group, you’ll be working with one of the finest internal medicine specialists in the North Shore region. All physicians in our internal medicine group use electronic medical records, which helps them to improve care coordination and enhances the accuracy of diagnoses and health outcomes. As a patient, you’ll have access to a website where you can view your test results, make appointments to see a doctor, request referrals, and communicate with your physician through secure email. Shared medical appointments, which offer intensive and educational appointments with your physician and other patients who have the same medical issue. Concierge medicine, an internal medicine group that is able to make themselves available to their patients 24/7 as needed. For patients with complex medical issues, we offer a patient centered medical home model of care, where your primary care physician leads a team of health providers who manage every aspect of your health. Find an internal medicine group near you. To find an internal medicine group near you, use the Find a Doctor feature on our website. You may search by physician or practice name, by location, gender, specialty and languages spoken. Our new Find a Doctor search makes it easier to find matches to your specific criteria. In addition to internal medicine doctors, NSPG has many family medicine specialists who provide treatment for all members of the family, from infants through adults. Find a specialist near you today.